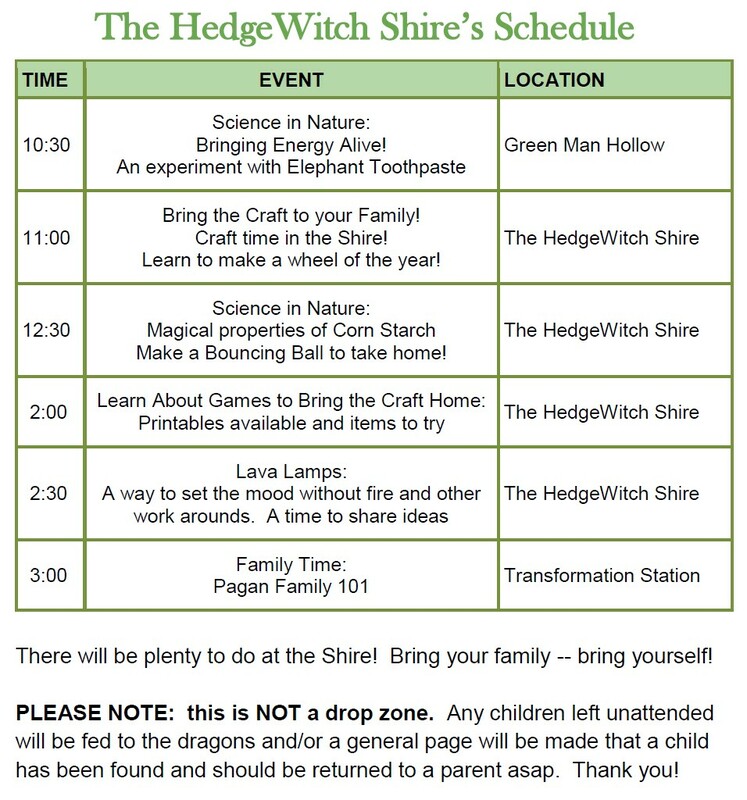 For all of us pagan parents – there will be plenty to do at the Shire! Bring your family — bring yourself! PLEASE NOTE: this is NOT a drop zone. Any children left unattended will be fed to the dragons and/or a general page will be made that a child has been found and should be returned to a parent asap. Thank you!